A practising artist for 15 years, Vanessa Wallace loves nothing better than sharing her creative energy, pinching porcelain, painting and decorating surfaces, and travelling to find new sights and inspirations. With separate tertiary qualifications in design, visual arts, and education, she also works at QAGOMA galleries and as a primary school teacher for Education Queensland. Book in some creative time to look at nature’s finer details. Learn drawing skills and watercolour application to interpret beautiful botanical specimens. 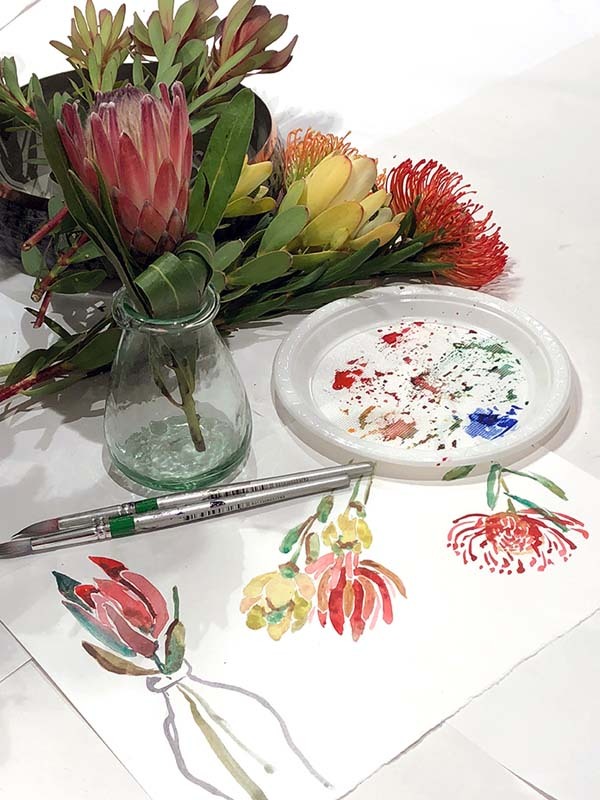 You will draw from both live plants and sourced photos, creating a unique artwork whilst enjoying creative atmosphere, delicious wine and good company with Artfolk (18+).